Latest updates on Feb 7th, 2019: Watch out for bees: recently our guests reported that they got stung by some bees at Zhuangdaokou. It’s advisable to wear light-colored clothing or bring bug spray just in case. And if you see bees, get away from them immediately for the reasons of safety. 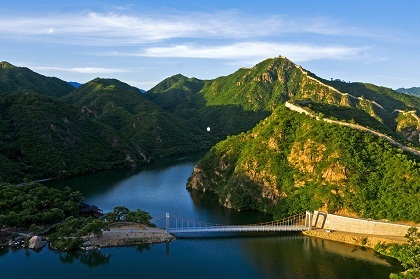 What better way to explore Huanghuacheng Great Wall than by foot. You will be collected from your accommodation at 7.30am or if you prefer, a different time for a wonderful day out to Huanghuacheng. 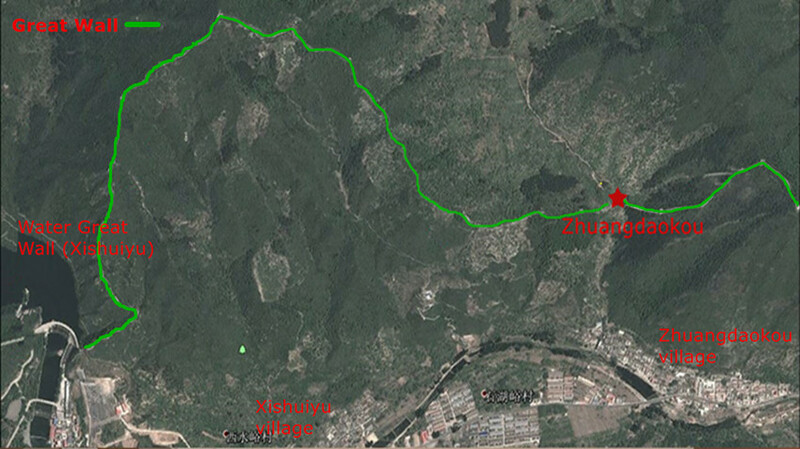 The adventure begins at Zhuangdaokou village where you ascend via a hilly trail westward to Xishuiyu. The starting point is easily accessible. From the valley you walk upwards through the stunning watchtowers. The track is dilapidated but easy to follow. The wall between the first and second tower is ruined. 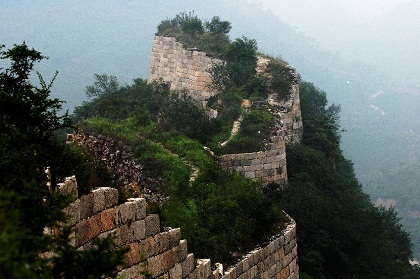 Due to overgrown bushes, you have to walk along the very edge of the wall, quite high above the ground. Take your time and enjoy the views. Climbing up the fourth tower could be a bit scary, but very easy grips and safe. You need to climb into the tower, around a 1.4 m step, it’s at the edge of the wall, and there is a drop of several meters under you. The sixth tower serves as a turning point for you. From here the left part of the wall can be seen clearly in front of you. 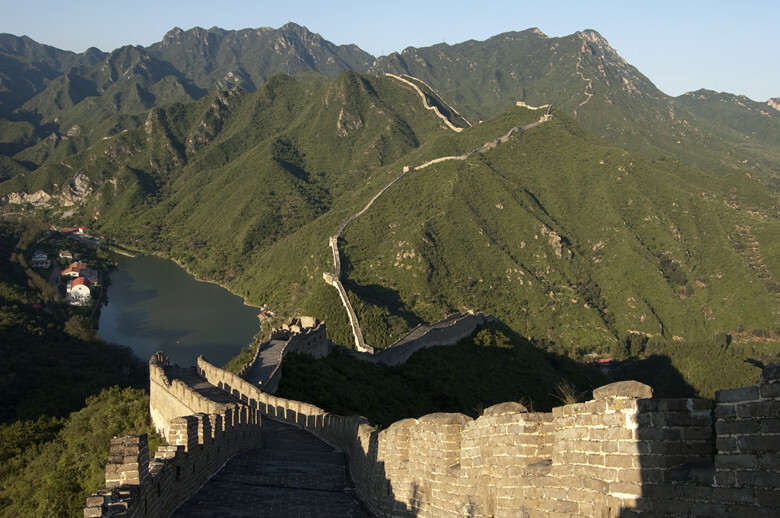 In the right following, the wall falls rapidly to the lowest point and rises to the mountain peak. Turn left and keep walking you will reach the seventh tower. The ninth tower was on the mountaintop and is totally weathered. From here the view is amazing! 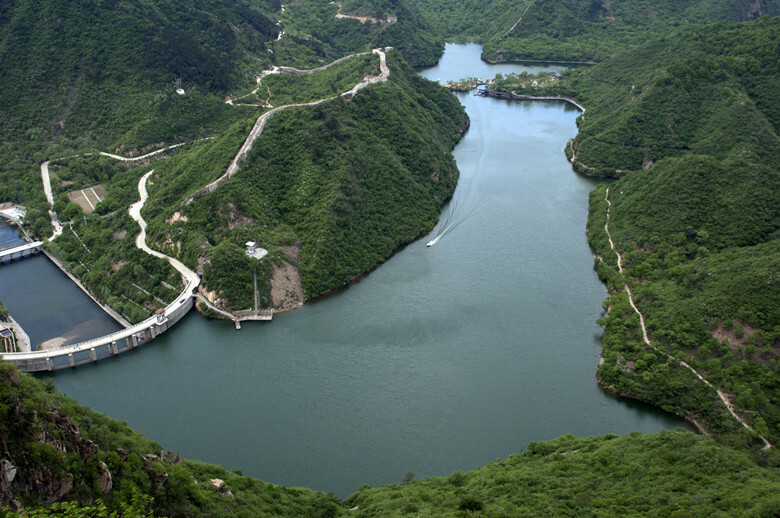 You will have spectacular panorama of Huanghuacheng, and the broken wall running underneath the water! Take it slow and enjoy the views. 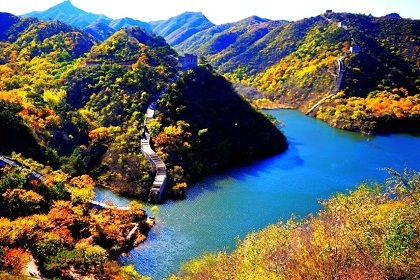 From here, the wall is too broken to walk safely, so you will take a short nature walk through the hilly trail to Xishuiyu village, where you will enjoy country-style lunch and have a break. The entire guided walk is about 5 miles /8 km and takes roughly 3 – 5 hours. You will not only see the wild beauty of Huanghuacheng but to touch, taste, smell and listen to it. This is much more than just a walk. Did you know? From Huanghuacheng, you can visit Ming Tomb (approx. 40 minutes drive) if departing at 7AM from Beijing works for you. (Best time to visit: April – October.) You are welcome to contact us by filling the form online. We will offer you a most suitable tailor-made itinerary with the best price.